NEODYMIUM-IRON-BORON MAGNETS (Rare earth permanent magnetic). 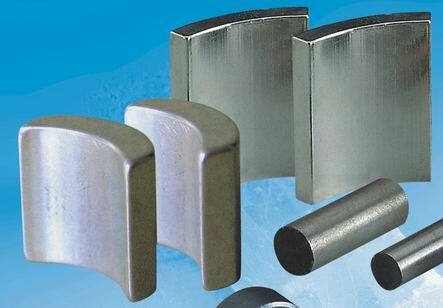 Sintered neodymium-iron-boron (NdFeB) magnets, They offer the highest energy product of any material today and are available in a very wide range of shapes, sizes and grades. The temperature stability and resist corrosion is not as good as permanent ferrite magnet.